This photo would appear to have been taken before the John Arnott'Alan Fursdon Testimonial on Saturday 10th.May 1975 against Charlton Athletic at Crabble. 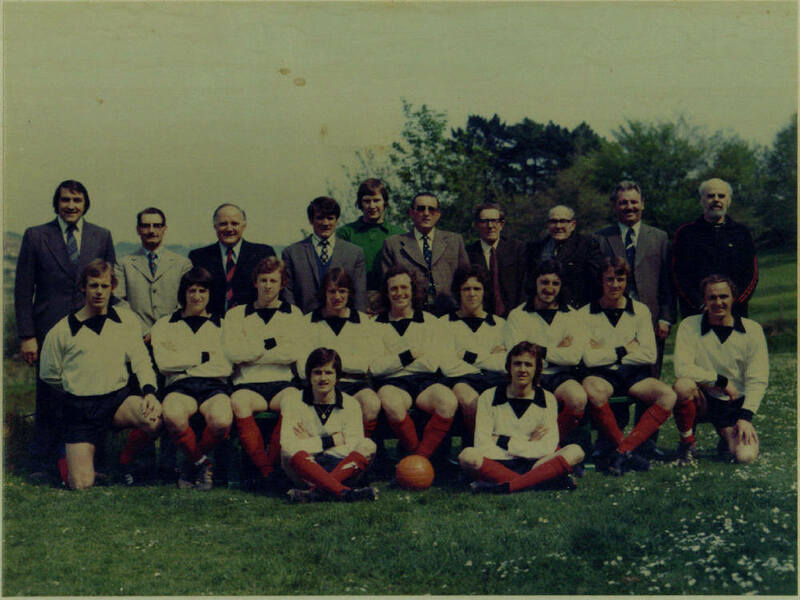 Missing from this picture is guest player Colin Clewlow, of Margate. Back row: Terry Adlington(Manager), John Bushell(Director), Charles Bollans(Director), John Arnott(Player-coach), Mick Gadsby, John Ullman(Director), Len Dodd(Director), Andy Thompson(Director), Gethin Price(Director), Jim Blaikie(Trainer). Middle row: Bob Glozier, Chris Hamshare, Barry Thornley, Alan Fursdon, Kenny Wallace, Steve Cooper, Johnny Arnold, Kenny Reynolds, Dai Yorath. Front row: Nigel Watson, Bryn Lloyd.